An air conditioning system represents a significant investment in your indoor comfort. Before you turn on the system for the first time in months and cross your fingers, take care. It may be a better idea to arrange for some annual maintenance to ensure that your system is going to manage in the summer. This will ensure that your system will be effective at cooling your home and efficient to keep your energy bill under control. It may be the case that your local heating and cooling specialist advises you to upgrade your system. In this article, we will look at when you should consider repairing or replacing your air conditioning system. Many heating and cooling professionals will advise that an AC system is replaced every ten or fifteen years. Over time, the system will start to rack up repair and maintenance bills due to general use and part failures. At first, when the system is newer this will be less, and later the costs will increase. If a system needs a repair that will cost a third of a new system, it makes better financial sense to invest in a new unit. Is Your AC System Failing Regularly? The cost of fixing an aging AC system is compounded if the system fails on a regular basis. Of course, this will result in higher repair bills due to the increasing frequency of failures, but there is a hidden cost. When your system fails on a regular basis, you will not be receiving the benefits of the cooling that you’re paying for. An older system will be less energy efficient anyway, but as the parts fail the cooling performance will be compromised. Essentially, you will be paying the same or higher energy bills and receiving a lower quality of cooling for your home. We’ve already touched on this, but it may surprise many people how much energy they could be losing. If your AC system is older or needs frequent repairs, it’s likely that your energy bills will increase. An upgrade to a newer system will often deliver an energy saving of up to 40% on your cooling costs. This could be even more if you have a home with a tight building envelope and over a few years, this represents significant savings. If they’re in the market for Fujitsu air conditioning, Perth homeowners should contact us here at Gas&Air. 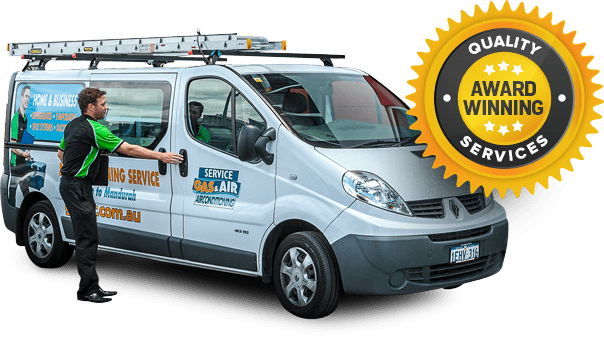 We supply, install and service a wide selection of heating and cooling systems and is proud of our Fujitsu air conditioning Perth service. All of our technicians are highly trained to work on your equipment, and we pride ourselves on the quality of our work. Our team members are looking forward to discussing your needs in greater detail, and they will be happy to offer their advice.